Fibromuscular dysplasia is a rare vascular disease which causes abnormal cellular growth in the walls of the medium and large arteries. Arteries are blood vessels that carry blood from the heart to the rest of the body. The extra cell growth causes arteries to narrow, which in turn results in less blood to flow through them. Moreover, it can result in aneurysms (bulging) or dissections (artery tears). Fibromuscular dysplasia typically affects the carotid or vertebral, which are in the neck and connect the heart and the brain, and renal arteries, which are blood vessels that carry blood from the aorta to the kidneys. 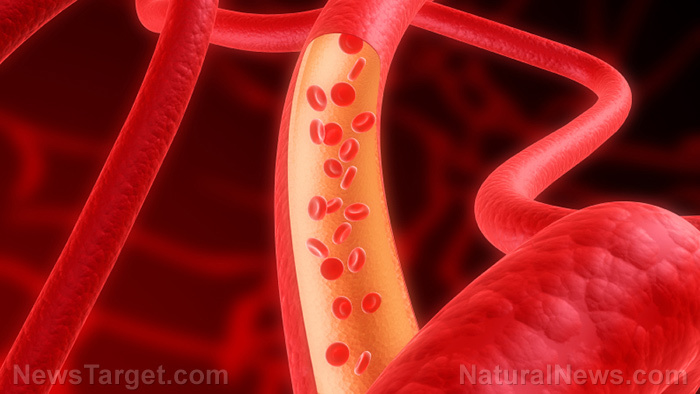 The disease can also affect the arteries to the intestines, the arteries to the legs or arms, the coronary arteries, and arteries in other parts of the body, although this is less common. The cause of fibromuscular dysplasia remains unclear, although hormonal influences, genetics, and internal mechanical stress may play a role in the development of the disease. The known side effects of fibromuscular dysplasia depend on which organs are affected. Reduced blood flow to the kidneys causes side pain, high blood pressure, shrinkage of the kidney, and abnormal kidney function. Reduced blood flow to the brain causes headache, dizziness, neck pain, ringing or swooshing sound in ears, droopy eyelids, uneven-sized pupils, and stroke. Reduced blood flow to the abdomen causes stomach pain after eating and sudden weight loss, while reduced blood flow to the arms and legs causes pain in the affected limb when walking or running, weakness or numbness, and temperature or color changes in the affected limb. The main body system harmed by fibromuscular dysplasia is the cardiovascular system as it affects the heart, blood, and blood vessels. The foods that may prevent fibromuscular dysplasia include fresh vegetables, juices, salads, whole grains, and plant-based milks. Moreover, avoid foods such as sugar and white or refined flour, processed foods, red meat, chicken, fried food, cow’s milk, and irritants such as extremely hot peppers, vinegar, and alcohol. According to the National Institutes of Health (NIH), there is no standard protocol to treat fibromuscular dysplasia. Treatment depends on the affected arteries. Patients may take medications that will ease symptoms of the disease. Surgery may also be needed to treat aneurysms that have the potential to rupture and cause bleeding within the brain. Fibromuscular dysplasia is a rare vascular disease that causes abnormal cellular growth in the walls of the medium and large arteries. Symptoms of fibromuscular dysplasia depend on which organs are affected, but it mainly causes reduced blood flow to the affected area. Fibromuscular dysplasia harms the cardiovascular system as it affects the heart, blood, and blood vessels. Fibromuscular dysplasia can be prevented with the help of fresh vegetables, juices, salads, whole grains, and plant-based milks. Treatment options for fibromuscular dysplasia also depend on which organs are affected, and may include medications and surgeries.